Looking for a rewarding, life changing summer experience? If you spend your summer with us you will most definitely walk away with unforgettable experiences, friendships and memories that you'll cherish forever. We are looking for hardworking, enthusiastic, responsible, and fun loving individuals to join our team of exceptional staff! Applying for a position at Camp Millhouse has never been easier! If you are ready to help us create an unforgettable 2019 summer experience, just fill out the 'Staff Application' AND the 'Voluntary Disclosure' form and send them to us either by mail at 25600 Kelly Rd South Bend, IN 46614, or via email at campmillhouse@gmail.com. If you have any questions please don't hesitate to call the office at 574-233-2202. We will begin scheduling interviews for all positions in November so please don't delay! We can't wait to spend our summer with you! (Summer contracts will be, as they have been, for 7 weeks from June 10th to July 26th. If you have a conflict with these dates, please discuss that with the directors.). Program staff contracts will include an additional three days for specific program staff training from June 5th thru 7th. PLEASE BE SURE YOU COMPLETE BOTH THE STAFF APPLICATION AND VOLUNTARY DISCLOSURE FORM IN THE LINK. There are two counselors assigned to each cabin who are responsible for ensuring that the daily operations (set schedule, do paperwork, be sure cabin is organized & cleaned daily) within their cabin run smoothly. There can be up to 15 campers assigned to each cabin and the counselors are responsible for the well being of every camper assigned to them. Counselors are responsible for assigning buddy groups to each counselor-in-training in their cabin. In addition, counselors will also have their own buddy group each day. Counselors sleep in a room in the middle of the cabin called the "cube" and are responsible for the campers at night. During the day they are joined by 4-6 counselors-in-training who stay with the group from before breakfast until after campers are in bed. CIT’s work with Cabin Counselors to provide care for each camper. CIT’s are responsible for teaching, coordinating, and carrying out activities and guiding campers in their personal growth and daily living skills. This would include helping campers maintain a clean living area and promote their responsibility for taking care and keeping track of their own personal belongings. CIT’s reside in a staff cabin for the duration of the summer and report to their assigned cabin each morning at a time determined by the Cabin Counselor. The CIT remains with the campers from early morning until the campers go to sleep for the night during which time the CIT is fully engaged with his/her assigned camper group. Program staff include the arts and crafts director, rec director, music director, special activities director, aquatics director and lifeguards. They are responsible for planning daily activities for their assigned programming areas that keep campers engaged and promote a positive atmosphere of fun! 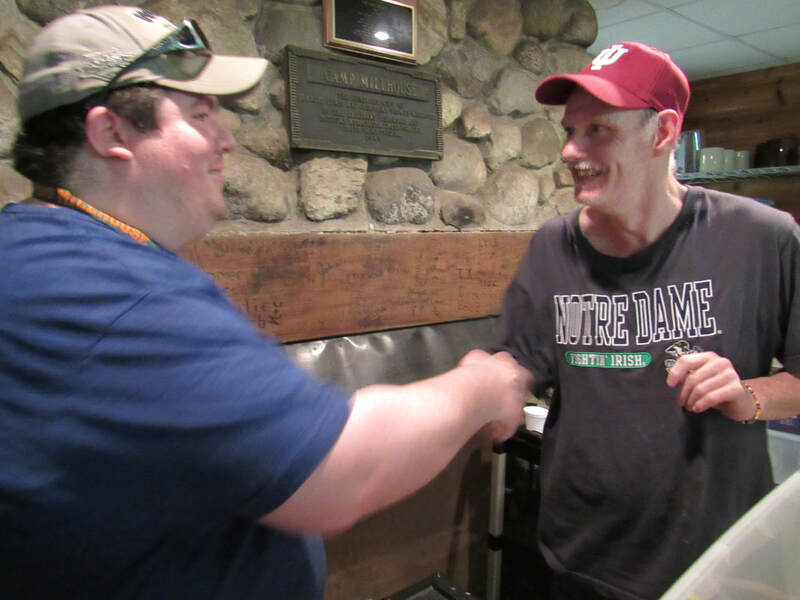 They are also assigned to a cabin each week, and assist with getting campers ready for the day in the mornings, and ready for bed in the evenings. Other program staff responsibilities include running the camp store, being the Sunday Leaders-of-the-day and assisting the directors. ​The main role of the cooks are to provide nutritious, well prepared, (and delicious) meals to all campers and staff throughout the summer! This may include modifying preparation of food or all together providing a different meal to meet the many dietary restrictions of campers and staff. They are responsible for food inventory and ordering and keeping a clean, well organized kitchen and dining hall to meet all health codes. There will be two cooks in the kitchen throughout each shift who will be responsible for the kitchen operations and food services of all camp meals. Cooks are responsible for doing all their cooking dishes and putting them away so the servers can clean up after meals. Cooks will work with two servers to prepare, set-up and serve all meals. The main responsibilities of the Kitchen Servers are to assist the Cooks in preparing and serving nutritious meals and maintaining the cleanliness and sanitation of the kitchen and dining hall. Camp Millhouse serves meals family style meaning the servers will be sure each table is set with the meal before campers/staff enter the dining hall for meals. During meals, servers will refill serving bowls on tables as requested by campers/staff. After meals, servers are responsible for cleaning up the dining hall and doing all meal dishes. Servers assist the cooks with cutting up fruits and vegetables for the salad bar. They set up the bar at each meal and put it away after each meal. Servers also assist with putting away the weekly food order. The laundry assistant generally works independently on laundry tasks. Laundry assistant answers directly to the Camp Director as well as the Executive Director. Laundry assistant will interact with program and cabin staff as needed. Laundry assistant may interface with volunteers or visitors and are expected to represent Camp Millhouse appropriately. Laundry assistant may interact with campers and are expected to assist with maintaining safety and enriching the camp experience as needed. Each cabin delivers the dirty laundry to the laundry room each morning before breakfast. Each cabin's laundry will be done individually to assure that all items are returned to the proper cabin. Once the laundry has been washed, dried and folded, it is placed in a clean trash bag, returned to the cabin bin and the bin is returned to the cabin. Laundry assistants are valued members of the Camp Millhouse team. Camp Millhouse employees nurses during all regular camp weeks and weekends. Full nursing shifts are from 7 a.m. to 7 p.m. and 7 p.m. to 7 a.m. We also have short 2 hour shifts available from 8:00 a.m. to 10:00 a.m. and 7 p.m. to 9 p.m. to assist with med passes. Nurses are responsible for all medication management and attending to any camper or staff needs throughout their shift. On Sundays, we are in need of six to eight nurses to help with camper intake and all that entails. While nursing is universal, being a camp nurse is a unique experience. 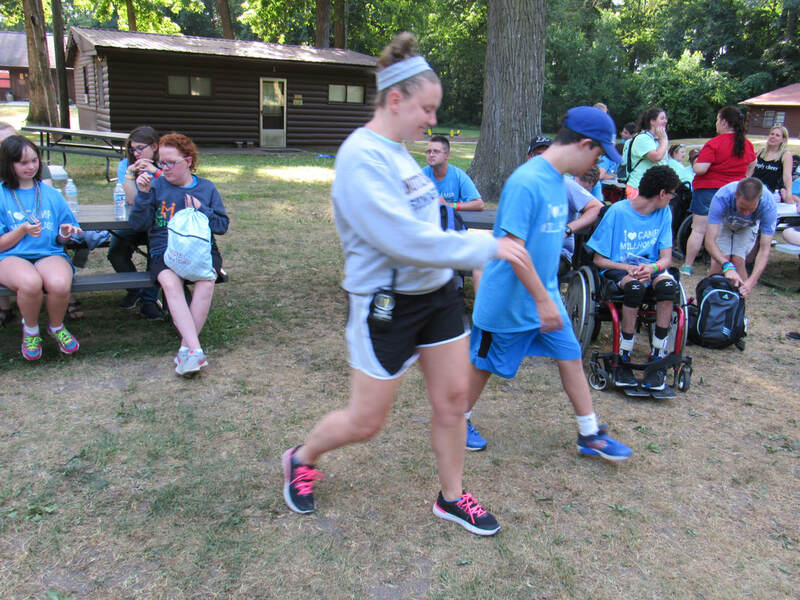 For more information about the camp nurse experience, please contact the office 574-233-2202.